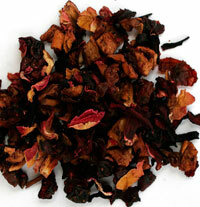 Cherry fruit infusion: A delicious mix of sour cherry pieces, hibiscus flowers, apple pieces, rosehip peels and rose petals. 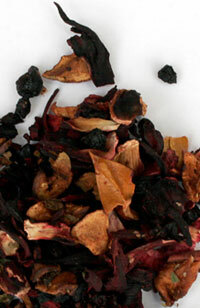 Elderberries, hibiscus blossoms, apple pieces, blackcurrant, blackberries, strawberries, raspberries and strawberry leaves. 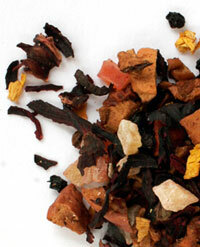 Passionfruit and orange blend together to create a strong, distinctive fruit infusion. 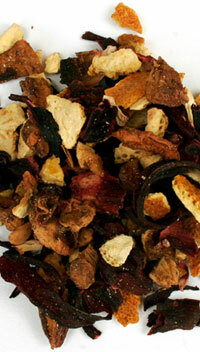 An invigorating mix of orange peels, apple pieces, rosehip peels and hibiscus flowers. 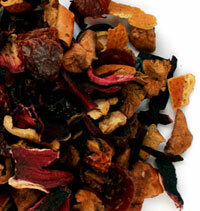 Our peach infusion is a fruity mix of peach cubes, mango pieces, apple pieces, hibiscus flowers, elderberries and sunflower blossoms.